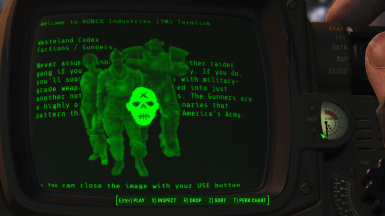 The Wasteland Codex is a mod that lets you unlock the articles of an in-game lore database of the Fallout Universe piece-by-piece as you travel the Wasteland and listen to the voice of The Storyteller. REMOVE OLD LOOSE FILES!!! BEFORE INSTALLING THE LATEST VERSION MAKE SURE YOU REMOVE ANY LOOSE FILES OF OLDER VERSIONS PRIOR TO 6.082!!! - fixed spelling of "pre-War" and "post-War"
BEFORE INSTALLING THE LATEST VERSION MAKE SURE YOU REMOVE ANY LOOSE FILES OF OLDER VERSIONS PRIOR TO 6.082!!! 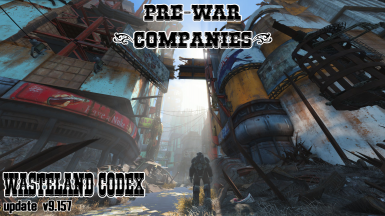 - spelling fix: plural for "Brahmin" is "Brahmin"
The Wasteland Codex v9.157 contains the full Bestiary, Chems, Factions, Humanoids, Power Armor, Pre-War Companies, Robots, Vehicles and Weapons sections of the lore book. 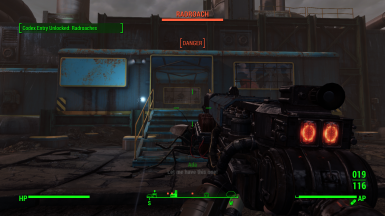 Expect this mod to be continuously extended with additional content for a long time! You can unlock these lore entries by simply playing the game as usual - killing enemies, visit locations, meeting new friends. 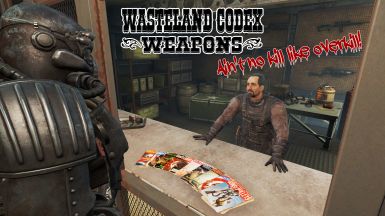 Unlocked Codex Articles are sorted into multiple categories and can be accessed through the Wasteland Codex holotape which provides valuable information, pictures and professional narration by The Storyteller himself. With the Auto-Play feature you can even listen to new Articles without needing to open up the Codex. From v8.132 you can try out the Recently Unlocked Entries hotkey feature to quickly play recently unlocked codex articles you haven't heard yet. Use a mod manager like Nexus Mod Manager. 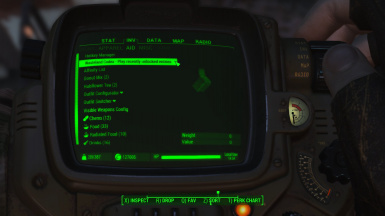 Extract the contents of the rar file to your Fallout 4 Data folder. 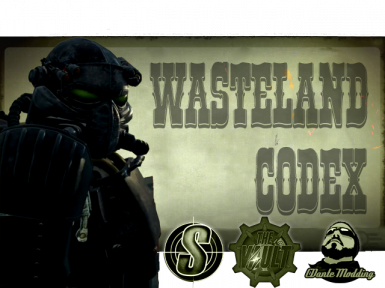 Enable WastelandCodex.esp using a mod manager or manually. 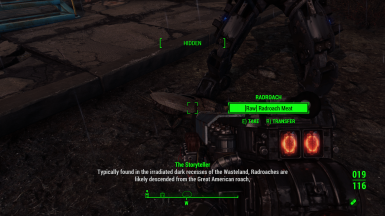 Event registrations and Timers of this mod are bound to a Quest that should be removed from your savegame when you disable the mod. 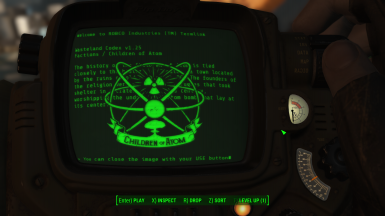 This means your savegame is safe, and you can continue to play the game if you decided to uninstall The Wasteland Codex. 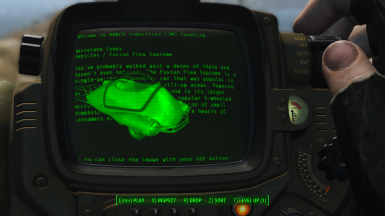 However the safest way to uninstall is to use the Uninstall feature of the holotape or the MCM menu to completely disable running scripts before removing the mod. 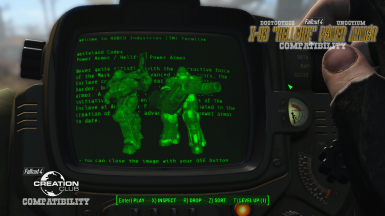 After installing the mod you will receive a holotape to your inventory called Wasteland Codex. 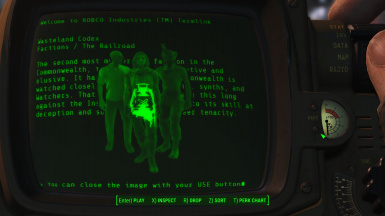 All categories of the lore database as well as the mod settings can be accessed via this holotape. 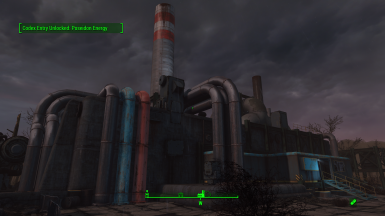 Optionally you can craft this holotape at the Chemistry Station as a Utility. 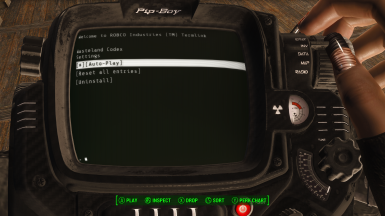 Auto-Play: Automatically start playing new Wasteland Codex entries without having to open the holotape. Hotkey to play recently unlocked entries: A hotkey to show a menu of recently unlocked codex entries, allowing you to start playing any of them. 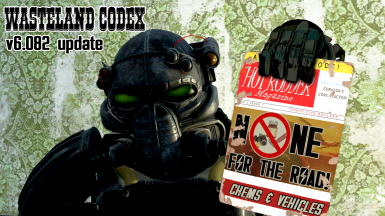 Reset all entries: Reset the mod to its default state, all codex entries in the Wasteland Codex holotape will be hidden and have to be unlocked again. 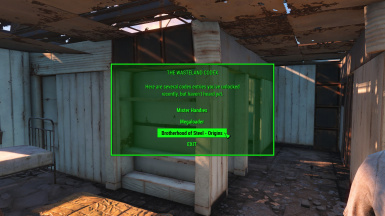 Uninstall: Uninstall Wasteland Codex from your savegame, clearing all event registrations and cancelling all timers. 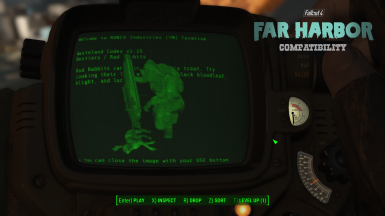 You should do this if you want to disable the mod and continue playing the game without the Wasteland Codex. 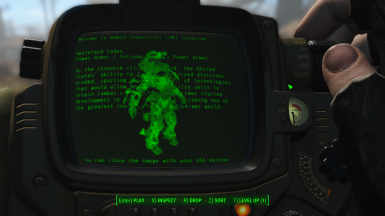 Alternatively there's an optional compatibility with Mod Configuration Menu (MCM). 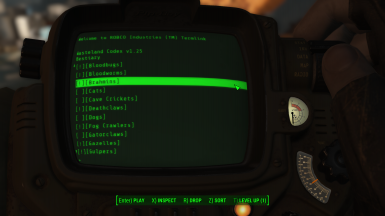 If you're using MCM you should find Wasteland Codex settings under Mod Config from the pause menu. 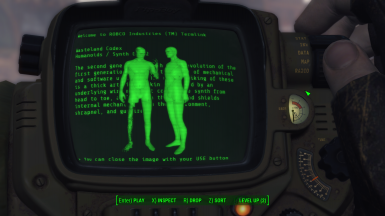 The settings are still available from the holotape as well. 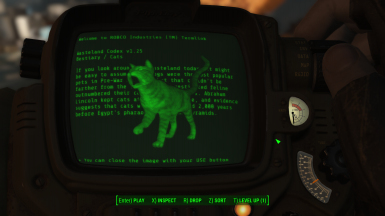 From v8.132 a new MCM Hotkey has been added to list the codex entries the Player has recently unlocked, and it gives the option to play these articles right from that list (recommended using with the Auto-Play feature turned off). 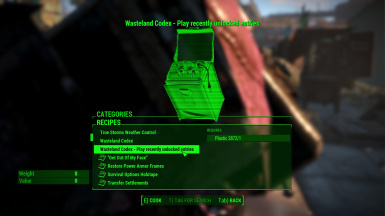 For those who do not use MCM from v8.132 an AID item called 'Wasteland Codex - Play recently unlocked entries' will also be added automatically to your inventory that can be used to show the list for the recently unlocked codex entries, and like any AID items it can be favorited. At this point in case you don't want spoilers I probably shouldn't say more. Just play the game and you will receive notifications about new lore entries being unlocked as you travel the Wasteland. In case you don't mind spoilers, check out the PDF below to find out how you can unlock each and every Articles in the current version. 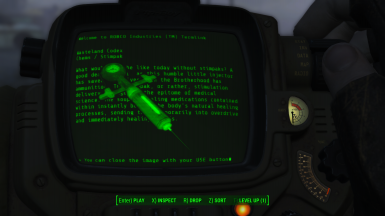 No known compatibility issues with any mods. 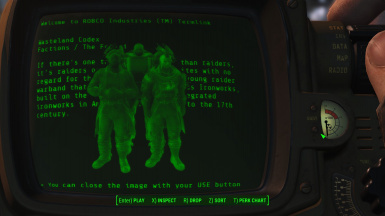 New Races, Factions, Locations or Forms added by mods won't affect the unlock triggers implemented in the Wasteland Codex mod unless a compatibility patch for that mod is made. 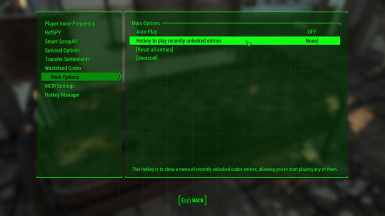 The mod auto-detects any installed DLC and unlocks or locks Codex Articles accordingly. 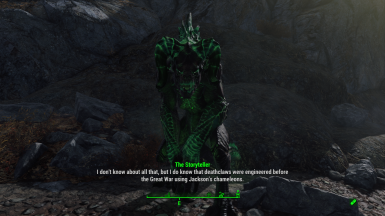 Many Articles are only accessible with Far Harbor, Nuka-World or Automatron installed, but you can still use the same version of the mod without owning these Add-Ons. 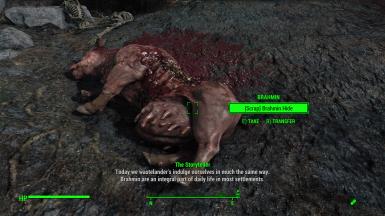 Having some tamed creatures from Wasteland Workshop in your settlement can unlock some Articles that are normally unlocked by killing those species. 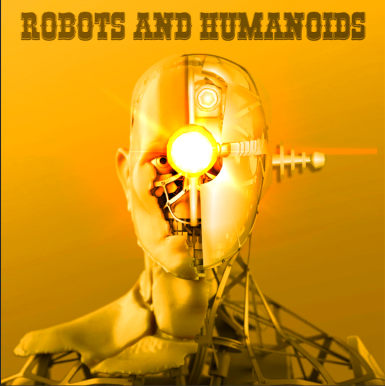 You can unlock certain articles about robots by building robot parts (limbs) at the Robot Workbench. 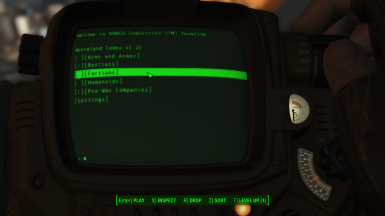 The mod optionally features an MCM settings page if you're using MCM. 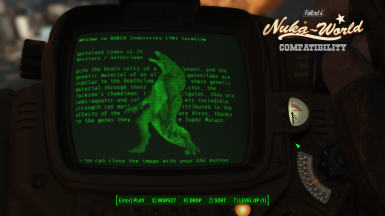 The mod is automatically compatible with many creations from the Creation Club. 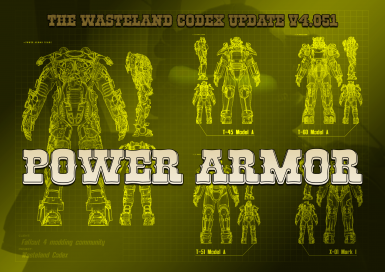 Some issues may affect the mod, but none are issues with the Wasteland Codex itself. 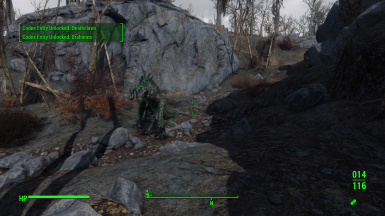 There's a vanilla bug with sprinting. 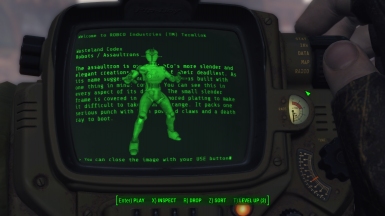 Sometimes when you're using the mod with the Auto-Play feature or just simply playing a Codex Article outside the Pip-Boy, the dialogue of The Storyteller gets cut short when you sprint, or when you start sprinting - no idea why this is happening, not sure I can fix it. 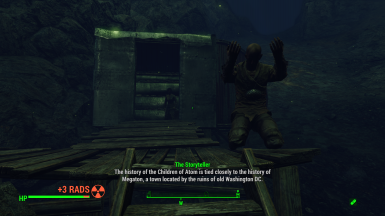 There's a screen refresh bug in MCM. Sometimes if you end up on a blank MCM screen, just refresh the menus by navigating to another MCM page, and then navigating back. 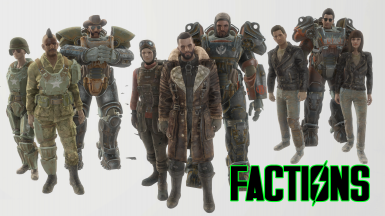 Needless to say, this mod will be continuously extended with additional content for a long time. FEEL FREE TO JOIN MY DISCORD IF YOU WANT TO KNOW MORE!